Production company WAGTV is hoping to reach out to undecided voters with an 80-minute documentary Brexit: The Movie, which has its premiere in Leicester Square tomorrow (Wednesday) night. 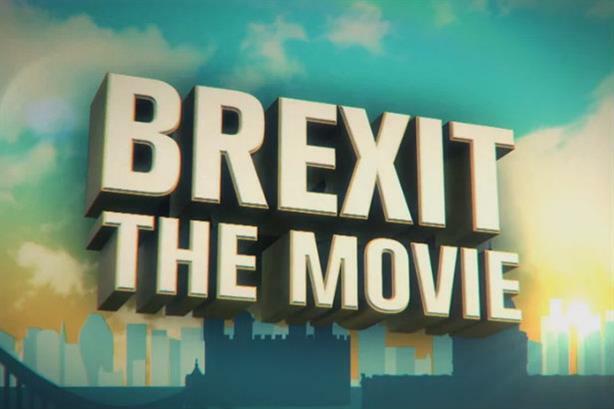 The film, which will then be made available on YouTube and via the Brexit: The Movie website, was initially funded by two asset managers who approached WAGTV CEO Martin Durkin last summer. In addition to the £50,000 provided by Spitfire Capital managing partners David Shipley and Hunter DuBose, £114,000 has been raised by a Kickstarter campaign. A trailer for the film was released in February, as the EU referendum campaign began to heat up ahead of the announcement that the vote would take place on 23 June. Brexit: The Movie - Trailer from WAGTV on Vimeo. Publicity for the film has been handled by WAGTV producer Charlotte Bowyer, formerly head of digital policy at the think-tank the Adam Smith Institute. She told PRWeek that it was hoped UKIP leader Nigel Farage, former Conservative minister Iain Duncan-Smith and other Conservative MPs including Jacob Rees-Mogg would attend the Odeon Leicester Square premiere, as well as a number of journalists and media personalities such as Katie Hopkins, political commentators and Brexit campaigners. Farage is among those interviewed for the film. "The main aim of the film is to reach out to undecided voters and those who haven't thought that much about the debate," she said, going on to say that the film moves away from the "typical immigration issues" and instead looks at economics and "how as a nation we’ve given away our rights, how we’ve gotten into that situation and whether things like cheaper mobile phone charges are really worth it". WAGTV boss Durkin was interviewed about the film on Sunday on Sky, and said: "The idea that we are no longer in a democracy should upset us much more than it does." He said BBC coverage of the referendum had been "deplorable" and said of his film: "I think it’s balanced because I think it’s true... it is a very entertaining film so hopefully it will appeal to younger people." James McGrory, chief campaign spokesman at Britain Stronger in Europe, said: "The leave campaign can make as many movies as they like, for when the lights come up, the audience will be no more informed about what Britain outside Europe would actually look like. "Leavers want to pull out of the EU’s single market of 500 million people, hitting our economy to the tune of £4,300 for every household. Britain is stronger, safer and better off in Europe, and leaving would be a damaging leap in the dark."